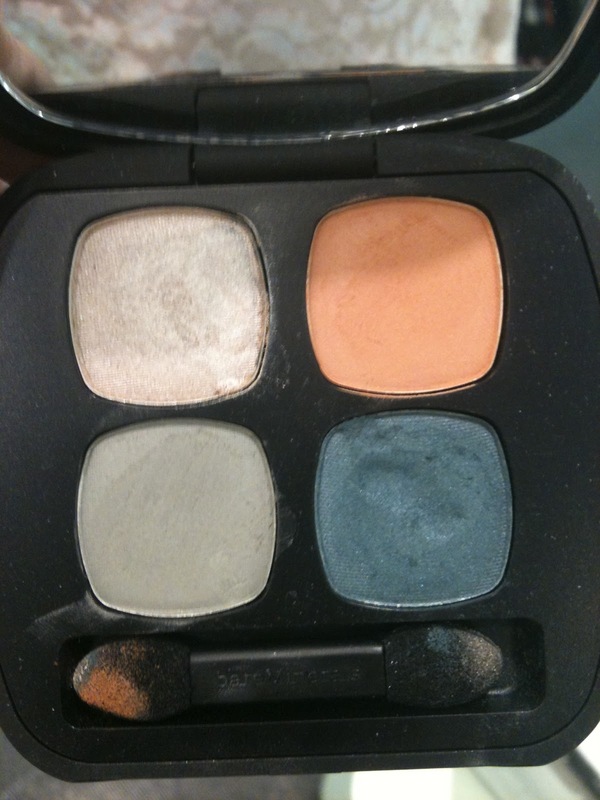 At my last Sephora trip I spotted the Bare Escentuals Bare Minerals Eyeshadow Palette in Elements. 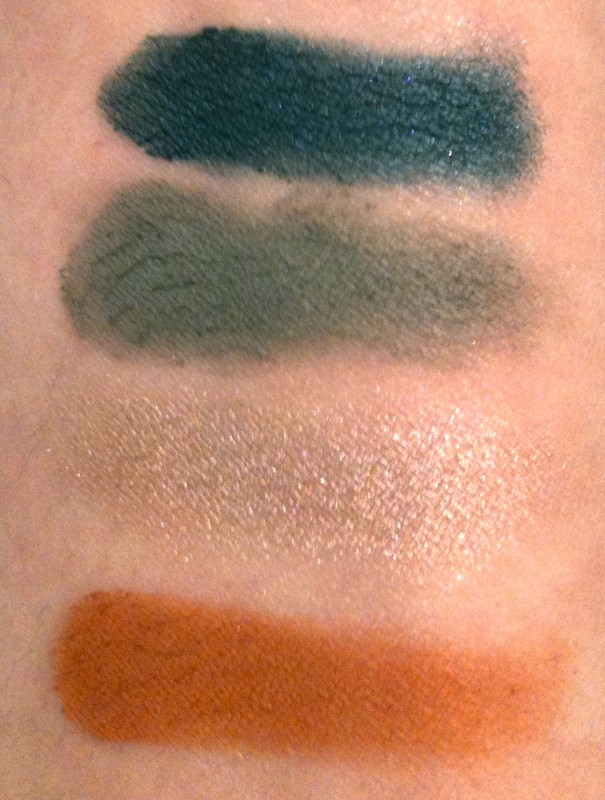 Normally I wouldn't get something with an orange or a sheer sparkly colour in it, but I've kinda fallen for this pressed quad and it's on my wishlist! 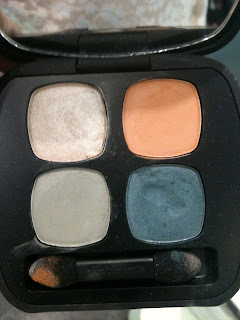 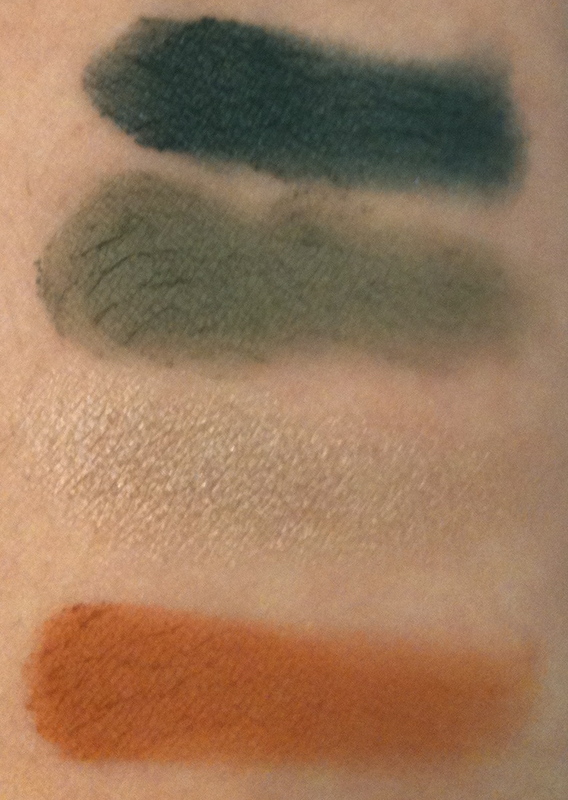 In the quad there are four shades, a shimmery pink-tinged beige, a matte almost green undertoned light grey, a matte toasted orange and a satin dusky teal. All are super pigmented and buttery in texture, though as the shimmery shade is so light it applies semi-sheer unless you build it up a bit. 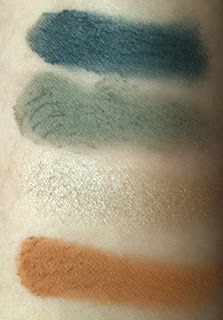 The palette costs $38 CND with only 0.17 oz of product total but as the shadows are so pigmented it's still tempts me! What about anyone else? Tried these quads from Bare Minerals?